Big Science is the next step for our Young Scientists and offers weekly project based science workshops. These classes are specifically designed for children ranging from 8-12 years of age, and expands on everything that we offer in our classes for the younger kids. What is Big Science Academy? Our Big Science classes provide a deeper understanding of the weekly topics, and with further analysis. We nurture and build on what the pupils may have already learnt at school, and we add additional topics to broaden their understanding of Life, Earth, Physical Sciences and Engineering topics taught by our qualified science teachers. 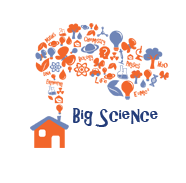 Little House of Science introduces scientific concepts and ideas in an age-adjusted way via a fun and exciting mix of interactive discussions, practical demonstrations and numerous hands-on science projects and experiments for the kids. 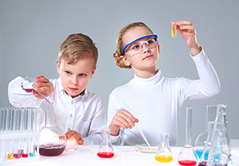 Our classes are ideal to further your child’s scientific knowledge, and also assist them with their school or science fair projects and experiments. Little House of Science’s blend of techniques helps create a unique learning environment, which stimulates their enthusiasm to learn more about our world and the role science plays in everything that we encounter. Children are curious by nature, which creates the perfect platform for them to learn what science offers the world. Every child is a budding scientist, but needs the right direction to grow into one. presenting enquiries and much more! Most importantly applying the science to the world around us.